It's an amazing time in your child's life! Every day brings new change - a smile, a fuss, a smooch, a new tooth. We understand you and your baby's new world. You can count on us to attend to your infant's every need and listen carefully to you - the parent - so that your needs are met as well. Leaving your baby in someone else's care can be an anxious time, trust Lightbridge Academy to keep you informed and connected each and every day! Our BottleBridge®-certified infant caregivers are ready to support nursing infants and mothers, providing full-time peace of mind for your newest arrival. Click here to learn more. 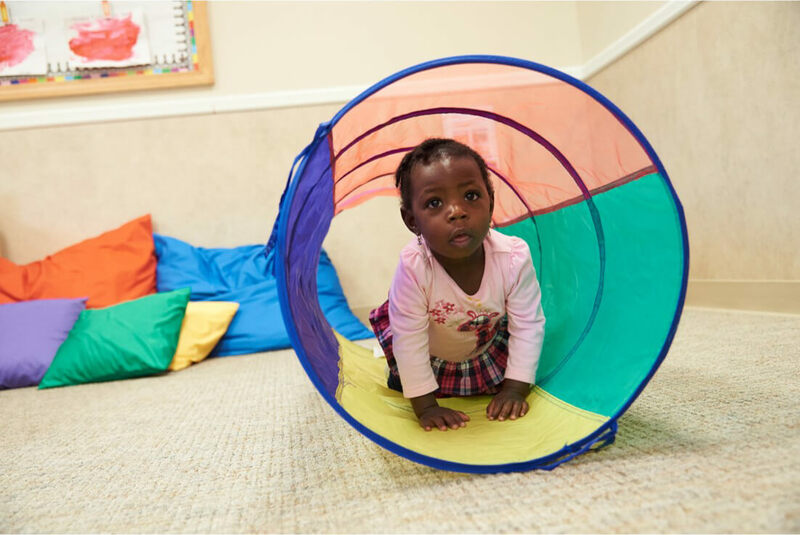 Our infant curriculum creates a solid foundation for your little ones future growth and development. By creating strong bonds, learning through play and stimulating their five senses, even our youngest students are encouraged to explore the world around them in a safe and nurturing environment. Primary caregivers introduce a theme-based curriculum which is enhanced with enrichment programs such as Singing Sprouts, Spanish Sprouts and Signing Sprouts. "'Curriculum for an infant? You've got to be kidding.' Then I learned how important it is for babies to have the stimulation and exercises they need at different stages of development. I'm learning how to be a better parent at Lightbridge Academy." Meal Plan - Lightbridge Academy has nutritious options available for you to choose from. We make sure to appeal to even the most finicky eaters, and you can be sure your Kindergartener is eating happily and healthy.